Melissa has been on her healing path since she was seventeen. She knew that by healing herself and gaining the awareness of her body and health, she could help other people find their way too. 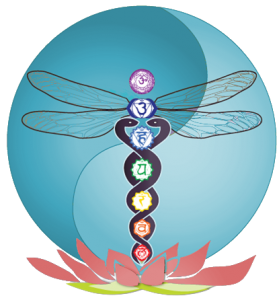 Melissa has studied various forms of healing, nutrition and yoga. Melissa has been a practitioner for 19 years! With a degree in Medical Anthropology, Melissa has a passion for culture and various forms of healing practices and beliefs. She is open to going on journeys with her clients and helping to guide others to feel themselves, connecting mind and body. As a mother of two boys she has developed great compassion and understanding, patience and wisdom. Melissa was trained at Twin Lakes College of the Healing Arts, where she studied various forms of healing, including Deep Tissue, Acupressure, Shiatsu, Reflexology, Hot and Cold Stone Healing Massage, Swedish massage and Chair Massage. Melissa is a Certified Hellerwork Structural Integration Practitioner. She studied in Victoria, BC for a 1.5-year program. Melissa completed her 2-year training with Dr. Sharon Stanley’s course Somatic Transformation Body Centered Counselling and now continuing with Sharon’s advanced Somatic Training. Melissa is studying Visceral Manipulation at the Barral Institute. Melissa’s sessions are designed to go deeper and allow for the client’s body to find its own wisdom and healing. If you are wanting change and to truly come into alignment with yourself and your life, Melissa is humbled to help guide you. Each session is specific to the client’s needs and can blend several different modalities to help free her clients of pain and tension. She holds the space for her clients to come back into balance within themselves and to find more freedom, clarity, and vitality. Melissa believes in educating her clients so that they can continue to feel well in their bodies, minds and spirits. She feels that every body has the potential to heal and to integrate all aspect of oneself into wholeness. It is never too late to start the work and to wake up to your true nature of who you really are! Melissa is also a musician and dancer and loves the form of African dance and music. She believes that being connected to one’s body is very important and encourages others to find movement in their lives. Melissa also teaches movement education which is part of her Hellerwork program. On her days off Melissa loves to be in nature, biking, swimming, hiking or just sitting by a tree in silence. Melissa has traveled to Africa to study as well as give sessions to people suffering from HIV-related illnesses. She plans to return to work in clinics and help others who don’t have the opportunities that we have here for healing. In 2008 I began my journey with Hellerwork Structural Integration. I was at a time In my life where I was newly a single mother raising a five year old boy, life was a bit difficult during this transition and I was being called to develop my career, but also felt that it could be difficult to go back to school with a small child and needing to work. One day I was visiting a friend who was telling me about Hellerwork Sessions she had been having with a local practitioner. It sounded a lot like the Rolfing sessions I had experienced many years back. She was overjoyed with the results she was having in her body. At this time in my life I was already a body-worker, trained in Massage and Acupressure. I really felt ready for a deeper experience and understanding of the human body. I wanted to connect all of the pieces together with the mind and the spirit. My friend told me there was a Hellerwork training happening in Victoria right where I was living! I was excited and knew in my heart that I was going to be a part of that training. It was going to start in a month. I contacted the trainers straight away and I was told that I was put on a waiting list and the training was full, if a space opens up they would let me know. I still knew that I would be part of that training, for some reason there was no doubts or fears. A few days later they called me and said two spaces had opened up, one for me and one for my friend who had told me about the training. We were both on our way for an epic journey. .
Straight away I had to start getting my 11 session series before the training started, which didn’t leave me much time. I was entering the training before even having the work done! I called my local practitioners and started booking in the sessions. I decided to try different practitioners to get a sense of the work. to find what inspires me in my life, what makes me feel alive! This session is also very much about the breath, the more we open up and free the breath; the more our body is able to expand and open. So much was opened up and realized in my body. I couldn’t wait to have my next session! And it went from there, each session was amazing and just what I needed for my body at the time. In September of 2008 my training began, we were a circle of 16 souls. I can’t express how amazing this first module of the training was. We had the gift of Don and Diane St John leading the first module around embodiment, somatic reflection, presence, attunement, mindfulness, and continuum movement. This first intensive gave us some of the most important skills on how to be with ourselves and with others while staying present and in our bodies. WOW what a life skill to receive! Every intensive was amazing! We were able to watch a very skilled teacher work with a client and then be able to work on each other. There were radical shifts and changes with everyone! I could write pages and pages about some of the most profound and amazing moments in my life that were realized at this training. During the training I realized that even if I never made a career out of Hellerwork that it didn’t matter because I had experienced others and myself in a way that had never been experienced before. I had found places that were hidden away, in the shadows and were finally set free and seen. I had felt places in my body that I had not felt in decades. I had support and love. I still have long lasting friendships from this training. I can’t express enough how thankful I am for this training. Almost 9 years later and I have had a successful career doing what I love and helping others find themselves again and to feel more free in their bodies. What could be more awesome then that! It has also been a gift to set my own hours and as a single parent in the beginning I could still work and make a great living and be with my child. Now I have another child who is 3 and have also made the choice to be with my child and work part- time. I love being my own boss, while doing what works best for my rhythm in life, making a good living and being able to be with my family and farm. If you are thinking about a career in Hellerwork I can’t encourage you enough that it will change your life! And you will build a successful business. The world needs more people like you! Hellerwork changes the world one body at a time!